Satellite navigation and GPS (global positioning system) has become ubiquitous in many of our gadgets and more often than not, is found in the car. The miracle that is, GPS, allows us navigate and track whenever and wherever we are. We’re all too familiar with satellite navigation in the car, allowing us to get from A to B without really know where we’re going. 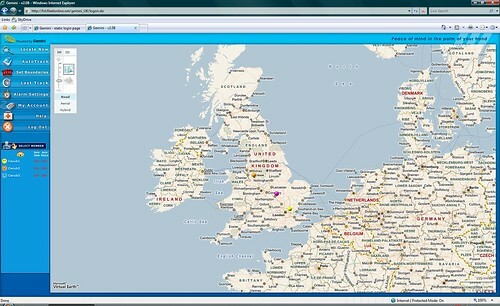 Cistrak are offering something a bit different to what everyone else is doing in the GPS space. Last year, I tested the Cistrak GPS Vehicle Tracker. 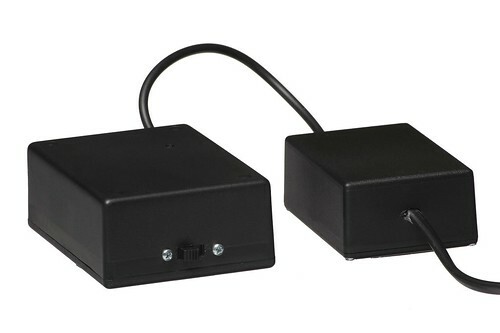 The self install system allows you to attach the black box in an appropriate space, preferably hidden from view using the supplied adhesive, then attach the power cable to your battery for continuous power. The system appears to be designed and marketed towards the commercial space but there is definitely a consumer interest in this type of device with thieves now targeting your homes and obtaining your car keys to gain access to your car – rendering alarm systems useless. Whilst most high end cars will offer satellite navigation, it’s rare to find one that comes with satellite tracking as well. Cistrak offers a unique solution that comes in the form of a black box containing the GPS circuitry and mobile phone. 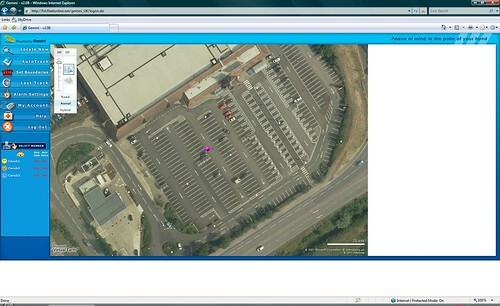 Using this combination of remote technology, the GPS system will locate your car within several metres of its actual location and the mobile phone aspect of the system communicates these co-ordinates to the Cistrak computers, which will then allow you to track and see where your car is in the eventuality it is stolen. What I really like about this system is the fact that it not only allows you track your car online and plot routes and set boundaries, it will also allow you to call it and it will text you back in a few seconds and tell you the exact address it’s at. Smart technology like this gives you extra peace of mind and re-assurance – perhaps even more so than an alarm system for your car. 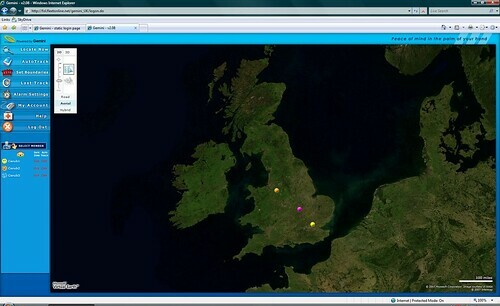 With the online system, you can view where your car is on a map. Cistrak have employed the use of Microsoft Virtual Earth, which means you can not only see on a map where your car is, you’ll also be able to view the location using the hybrid map, which gives you the perspective of the buildings and surrounds it is in. Cistrak will also track movements whenever your car moves and will plot these on to a map and give you the address that your car stopped at – and this works worldwide. One thing I found to be a bit unfortunate is the fact that the online tracking system will not work with any of the browsers I tried on the Mac platform, including Firefox which struck me as rather odd since Firefox and even Safari are perfectly capable of rendering Live Maps. With such a high initial cost to getting set up, I can’t recommend it to everyone so it’s purely down to judgement of how much your car or your business investment is worth to you. The kit costs £351 but that does include one years subscription to the live tracking service. Every year after that will cost you £60 + VAT to keep the service running. Businesses and owners of high end or luxury cars will easily find justification for the Cistrak…others may need to do some sums first. One thing is for sure though, the Cistrak proves that the technology works flawlessly and will may pave the way for us average consumers to have this as a standard someday.